Giving up nicotine is the bravest thing you could ever do for yourself. 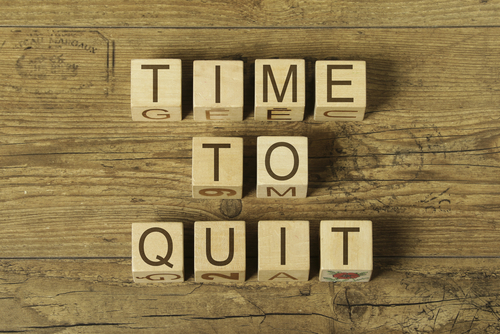 Quitting smoking isn’t simple at first. Once you get through the first few weeks, things will start to get easier. With time and practice, you’ll be able to enjoy the benefits of not smoking. You may have heard that within minutes and days of quitting, your blood pressure, circulation, and lungs start to repair itself. Getting through a nicotine addiction is a challenging endeavor, but you are worth it. 1- Heart health begins to improve within a matter of weeks to a few months. Your risk of having a heart attack decreases in a few weeks. Within 15 years, your risk of coronary disease is at the same level as a non-smoker. 2- After several years of not smoking, your risks of lung and other cancers drastically drop. Reducing your cancer risk can give you peace of mind. 3- Better breathing is a huge benefit of not smoking. Within days, your lungs begin to repair. In time, you’ll be able to run, jump, exercise, and have adventures without feeling so out of breath. After several years of not smoking, risks of emphysema and COPD also decrease. 4- Improved sense of smell and taste happens when you stop smoking. You may not even notice that you haven’t been able to taste or smell. When these senses return, you will be blown away at how delicious your favorite meal smells and tastes. 5- Cigarettes are expensive. By not smoking, you can save thousands of dollars a year. Imagine what you can do with all that extra cash. 6- Smoking is time consuming. If you spend 5 minutes, 5 times a day smoking, the time really adds up. With all this extra time and money, you can plan an international vacation. 7- You smell better and stay younger looking. Smoking damages your skin and makes you develop more wrinkles. Quitting smoking now will keep you looking healthy. You will also start to smell better without the smell of smoke on you. Quitting smoking makes you healthier, saves you time and money, and makes you enjoy your life. Getting rid of a nicotine addiction is no simple task, but you are well worth it. Hired Power understands addiction treatment, including nicotine addiction. Hired Power uses innovative approaches to helping tackle your recovery head on. If you want to learn more about the recovery, call Hired Power today at 714-559-3919. Hired Power is the expert you need to help you take the first steps towards your goals.